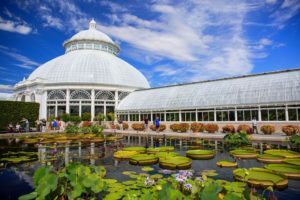 The most magical ‘back to nature’ attraction for out-of-town-tourists, as well as native dwellers, is New York’s City’s Botanical Garden, situated in the Bronx. 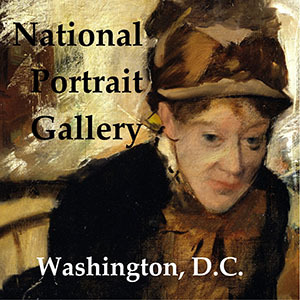 With over 250 acres, containing unique tropical and desert habitats, rose and rock gardens, a lily pond filled with goldfish that come to the surface to talk to you, the county’s largest Victorian-era glass house, and miles of lushly planted paths to both walk or tram, this National Historic Landmark preserve is a wonderful way to spend a glorious day. 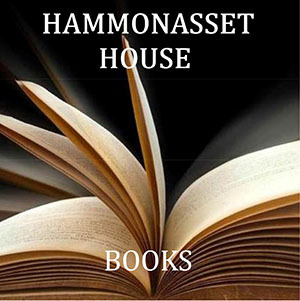 And most astonishing is a 50 acre old-growth forest of massive maples, oaks, and chestnuts that has stood, blessedly so, unmoved since the American Revolution. I might add for those that love to shop and eat, there are two eateries, two picnic areas if you prefer to bring your own lunch which I and three friends did, and a wonder-filled gift shop, offering Botanical Garden-raised plants of all kinds for sale. One of those is currently gracing my living room. 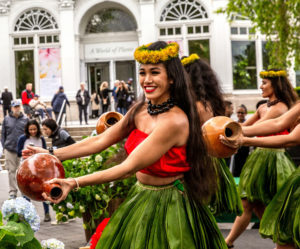 If this isn’t enough to entertain one’s body and soul, the Botanical Garden has been mounting highly touted museum quality exhibitions, featuring the work of world-famous personages in whose life and work, be it scientific or artistic, had much to do with plant life. Both Charles Darwin and Emily Dickenson, both of who used plant and flower wordage in their writings and research, and lovingly cultivated gardens of their own, were given exhibitions. More recently, a Claude Monet exhibition (2012) documented the role that Giverny, the artist’s iconic garden, played in his life and work. Brought together for the first time were two rarely seen paintings by the Impressionist master, as well as his paint-encrusted wooden palette and an evocative array of historical photographs that showed the artist creating and enjoying his garden. Left: Georgia O’Keeffe, “Heliconia, Crab’s Claw Ginger” (1939), in an exhibition at the New York Botanical Garden. 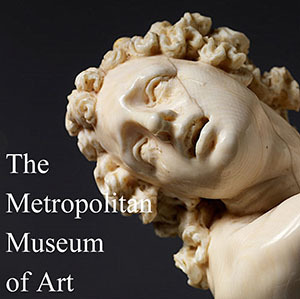 Credit: 2018 Georgia O’Keeffe Museum/Artists Rights Society (ARS), New York; Collection of Sharon Twigg-Smith. In another first, the Botanical Garden mounted Art, Garden, Life in 2015. Hugely popular, this Frida Kahlo (1907-1954) exhibition with some dozen original Kahlo paintings focused on the artist’s engagement with nature in her native country Mexico, as seen in her garden, home, and in her paintings. As is the Garden’s usual modus operandi of “leaving no stone unturned” Kahlo’s garden at the Casa Azul (Blue House), today the Museo Frida Kahlo, the artist’s lifelong home outside of Mexico City, was imaginatively recreated for the exhibition. Also on view were terra-cotta pots filled with authentic Mexican cacti and succulents. To remind visitors that Kahlo’s work in her studio was intertwined with her life in her garden, a desk and an easel stood nearby. Left: O’Keeffe on Leho‘ula Beach, near Aleamai, Hana, Maui, 1939. Photo: Harold Stein. Credit: Alfred Stieglitz/Georgia O’Keeffe Archive, Yale Collection of American Literature. Currently riding on the crest of these botanical triumphs the Garden has turned to Georgia O’Keeffe (1887-1986) our country’s most iconic and best loved female artist (it should be noted even though she did not appreciate being referred to as a woman) and mounted the Georgia O’Keeffe: Visions of Hawai’i exhibition which runs through October 28, 2018. Again, pulling out all stops, in addition to displaying twenty of O’Keefe’s stunning, albeit, little known Hawaiian paintings, not seen together since their 1940 debut at New York City’s An American Place gallery run by O’Keeffe’s husband, photographer Alfred Stieglitz (1864-1946). Curated by Honolulu-based art historian Theresa Papanikolas, with the participation of Francisca Coelho who designed the Conservatory’s display of over 300 tropical plants that O’Keeffe both painted and encountered in Hawaii, the exhibition also features an introductory film, original photos taken by the artist during her island stay, and around the clock demonstrations in which visitors are taught to fashion traditional leis, as well as how to perform the hula (above, right). Left: Georgia O’Keeffe, Waterfall, No. I, ‘Iao Valley, Maui, 1939 Oil on canvas, 19 1/8 x 16″. Memphis Brooks Museum of Art, Memphis, TN. 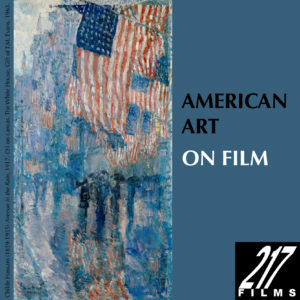 Gift of Art Today 76.7 © 2018 Georgia O’Keeffe Museum / Artists Rights Society (ARS), New York. The back story of how O’Keeffe got to Hawaii in first place, and what she did there, is every bit as rich as the exhibition itself. In 1938 O’Keeffe was approached by an advertising agency about creating two paintings for the Hawaiian Pineapple Company (now Dole Food Company) to use in their advertising. At age fifty-one, and her career temporarily in low ebb, she jumped at the chance. Though it had been many years since she had worked in the commercial arena as an illustrator, O’Keeffe wasn’t about to turn down a nine week, all-expense-paid trip in which all she had to do is to produce two paintings. 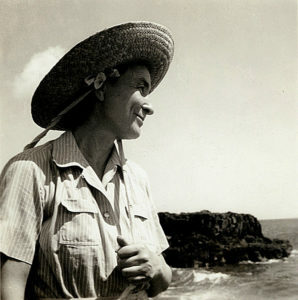 Right: Georgia O’Keeffe, “Black Lava Bridge, Hana Coast, No. 1,” 1939. Credit: 2018 Georgia O’Keeffe Museum/Artists Rights Society (ARS), New York; Honolulu Museum of Art. 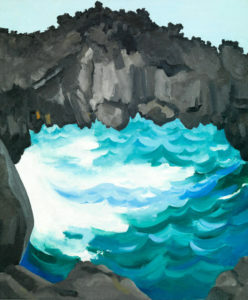 Exploring the islands both by boat and car – O’Keeffe did the driving – and accompanied by her 12-year-old guide, the artist went from island to island breathing in all that surrounded her. 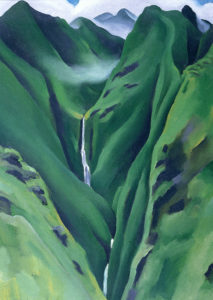 Profoundly overwhelmed by the beauty of Hawaii, as she wrote Stieglitz, she visited the coast’s volcanic landscape, its lava-studded beaches, the island’s towering waterfalls, and countless gardens, painting canvas after canvas in her usual style of scaling up and cropping close to magnify her subjects to give them power. Out of all the paintings that O’Keeffe created during her visit to Hawaii not one pineapple painting, as requested by the ad agency, made its way onto a canvas. 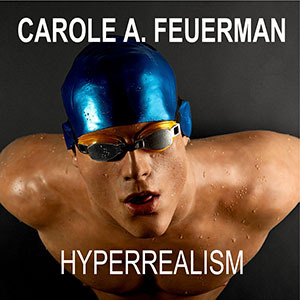 Equally inexplicable – I had to laugh at this one – out of the two paintings she did paint on assignment, one was of a Papaya tree, the Hawaiian Pineapple Company’s chief rival. Though O’Keeffe was sent a pineapple by her sponsor when she got back to New York, the strong-willed artist, rejecting this example, turned to the memory of her visits to Hawaii’s pineapple groves. Left: “Hibiscus With Plumeria,” 1939, oil on canvas. Credit: 2018 Georgia O’Keeffe Museum/Artists Rights Society (ARS), New York; Smithsonian American Art Museum. 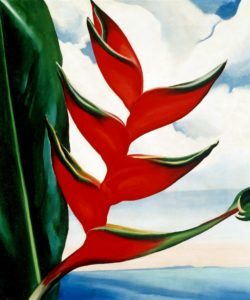 Equally fascinating is that the non-botanist O’Keeffe, out of the hundreds of native Hawaiian species, ended up painting only those plants and flowers such as Heliconia, Calliandra, Bougainvillea, Plumeria, and the White Bird of Paradise, that were non indigenous to island. For those keen on spending a wondrous day at the Botanical Garden with or without O’Keeffe – the Garden is open all year round – you can log on to https://www.nybg.org and this will tell you everything you need to know and then some. What a splendid piece–thank you!! I could imagine being there…..
BRAVO! The article was wonderful! Oh, thank you, Ed Rubin. This is fascinating and stimulating. Georgia is a long-time idol of mine, and if you don’t stop writing such great “reads,” you will be one, too!